Let’s start off by asking a serious question. Why do I need to have car insurance? In a nutshell, it’s an excellent safeguard for your investment, if you’re in an accident, your medical bills are covered, you are also protected in case of a lawsuit and from underinsured or uninsured drivers, and it is also prudent for repairs in case of damages caused by natural disasters, vandalism, and theft. Mainly though, it provides exceptional peace of mind. You don’t want that “uh-oh” feeling when you realize you don’t have any or enough coverage and it’s too late. 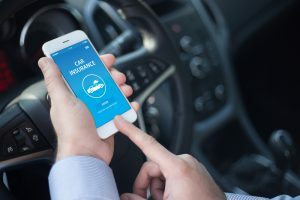 If you live in the San Antonio, Texas area, reach out to the expert car insurance agents at Falcon Insurance Services for all your car insurance needs. Now that you know why you need car insurance, how do you know who to purchase car insurance from? We think that answer is easy and apparent. Falcon Insurance Services provides exceptional and high-quality yet affordable car insurance to the San Antonio, Texas area. Each of our trusted and respected car insurance agents is certified and licensed to sell car insurance in the state of Texas and has the knowledge and experience to provide you with a tailor-made policy to suit all of your car insurance needs. We are proudly a local car insurance company and when you choose us we never treat you as a policy number. We’re your neighbors who just happen to be car insurance experts. Are you in the market for the best car insurance coverage in the San Antonio, Texas area? Great, contact us here at Falcon Insurance Services at (210) 647-7112 and a knowledgeable and friendly insurance expert will be happy to answer any questions. So for a free quote call us today, you’ll be glad you did.